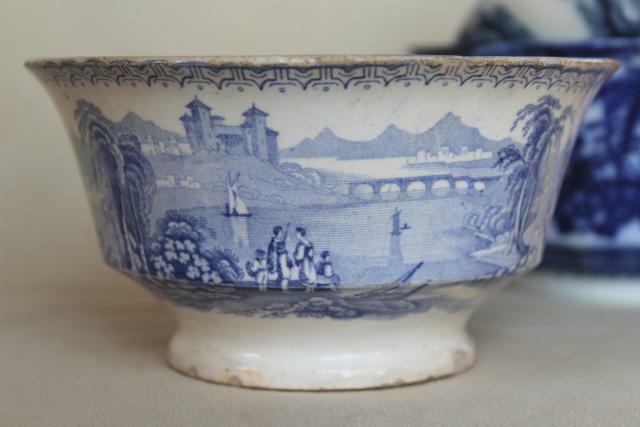 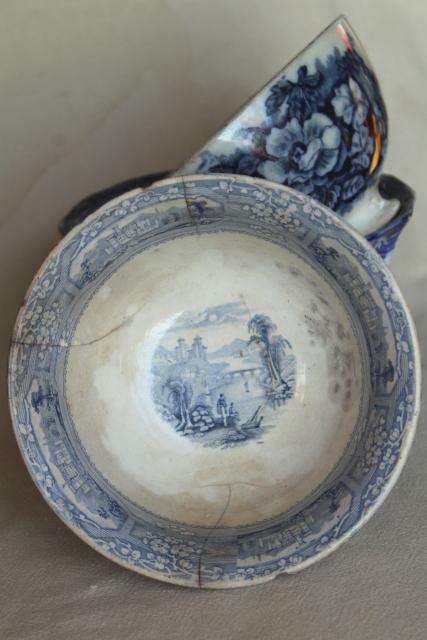 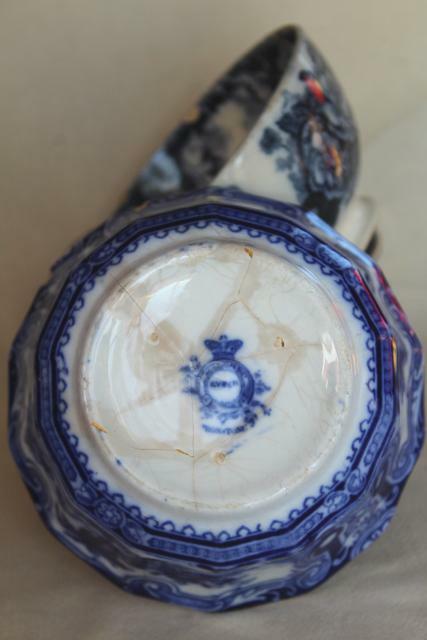 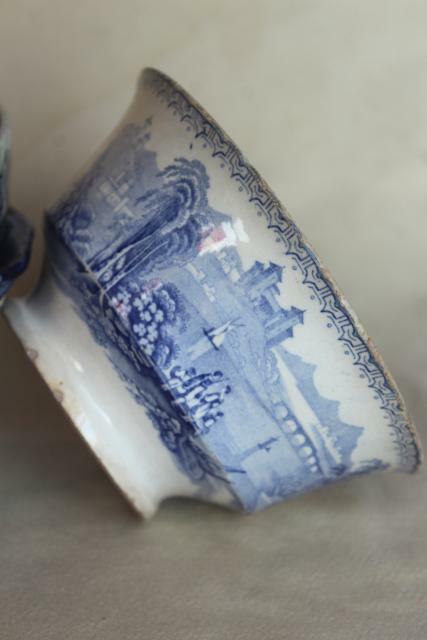 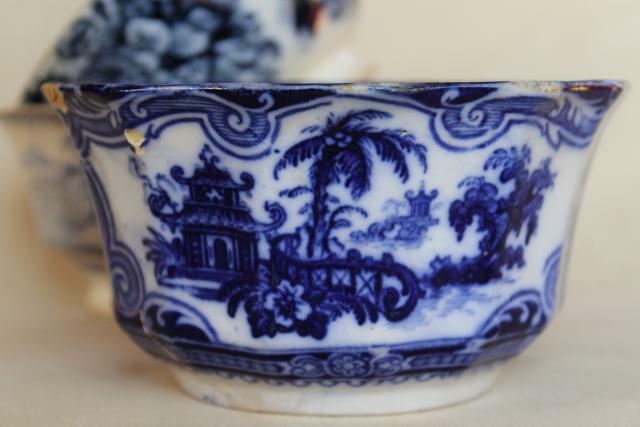 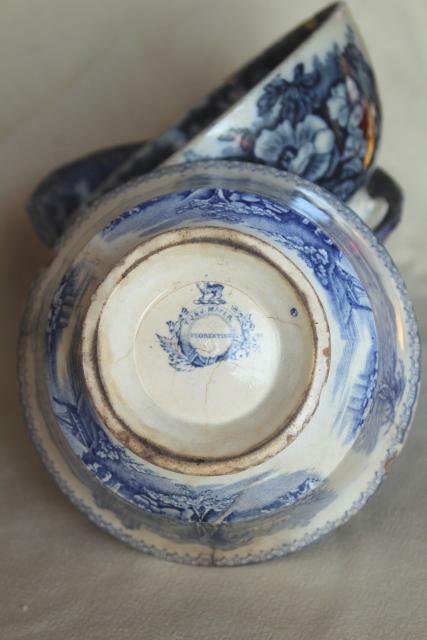 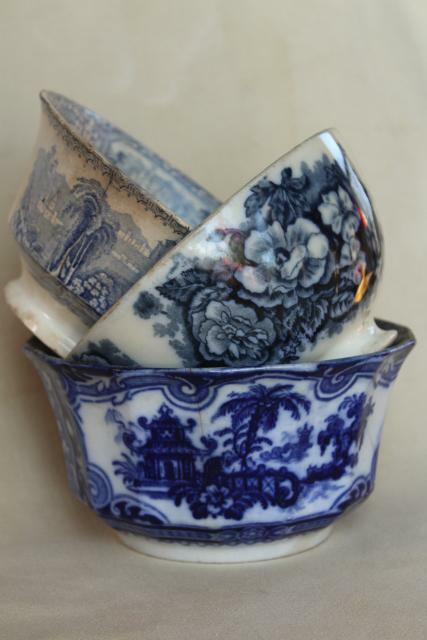 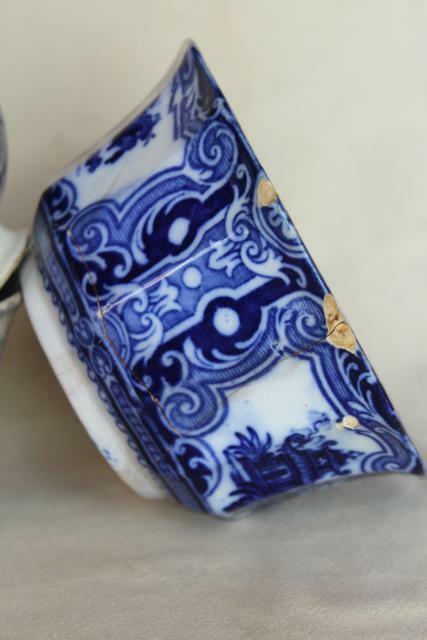 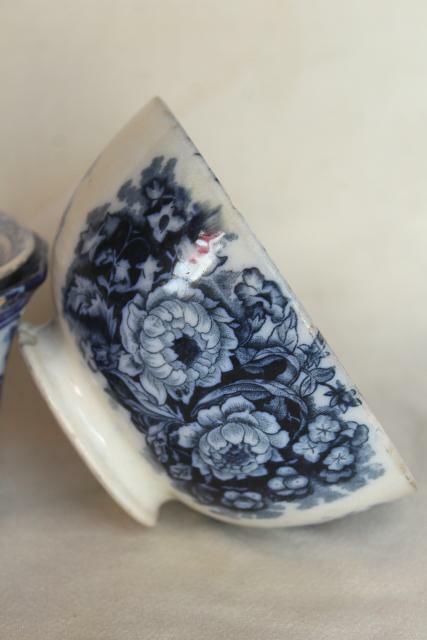 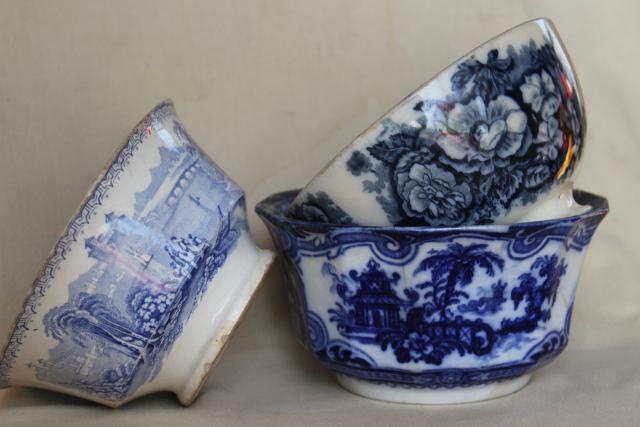 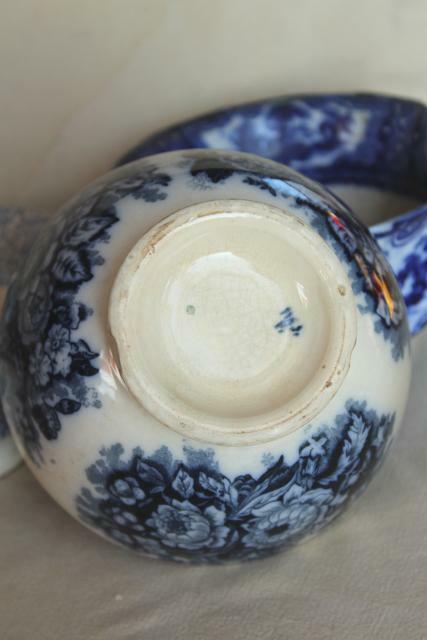 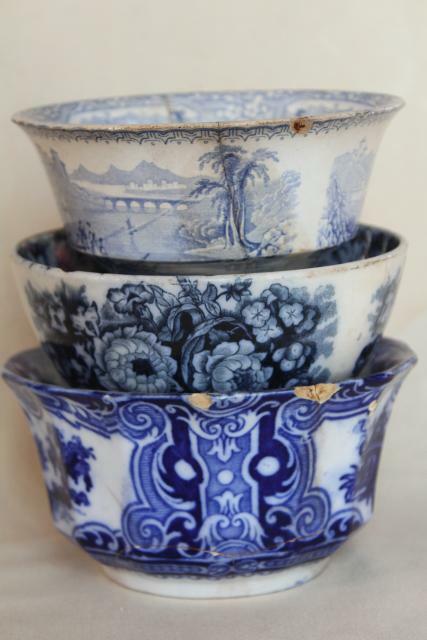 Collection of three very shabby, very old blue and white china bowls, 1840s and 1850s. 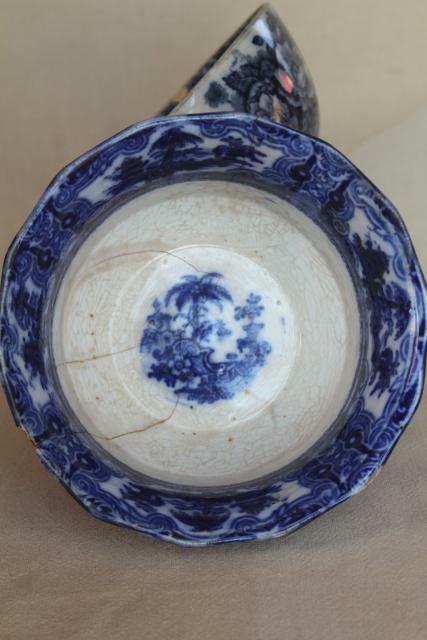 These have chips, cracks and repairs, but are hard to find 19th century patterns, including Kyber and Florentine scenic china. 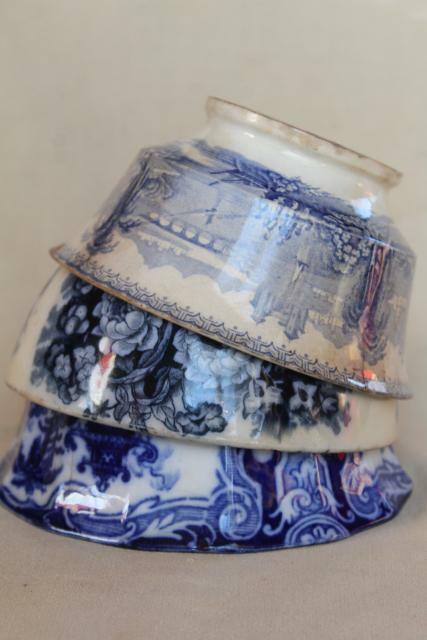 Also, they stack nicely together! 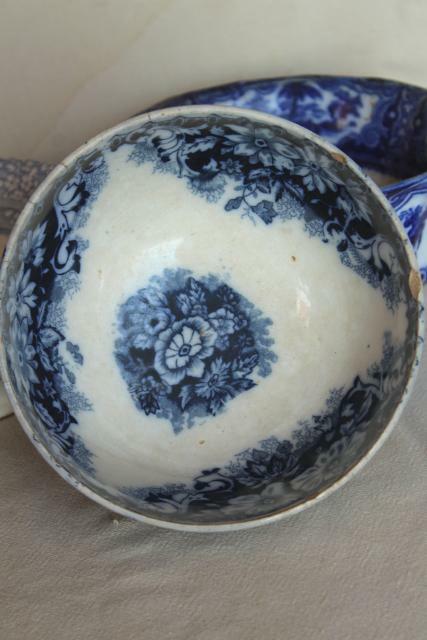 These are deep bowls with footed shapes, the largest being about 6" in diameter x 3 1/4" in height. 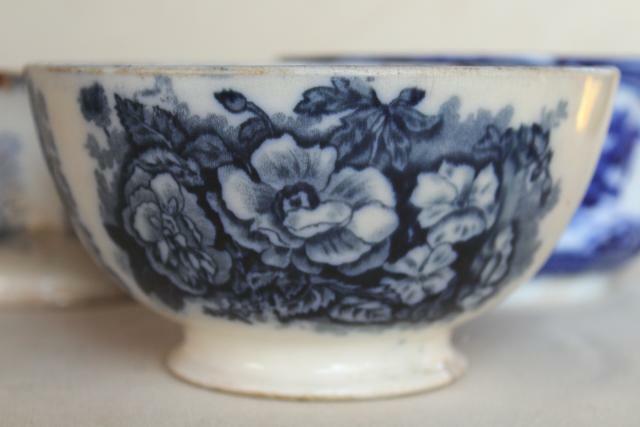 Two of these are English, we're not sure about the flowered one as the marks are faint.